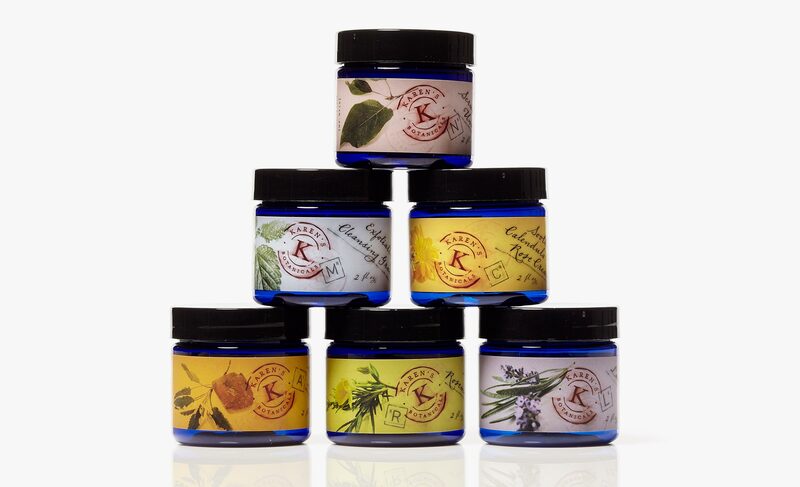 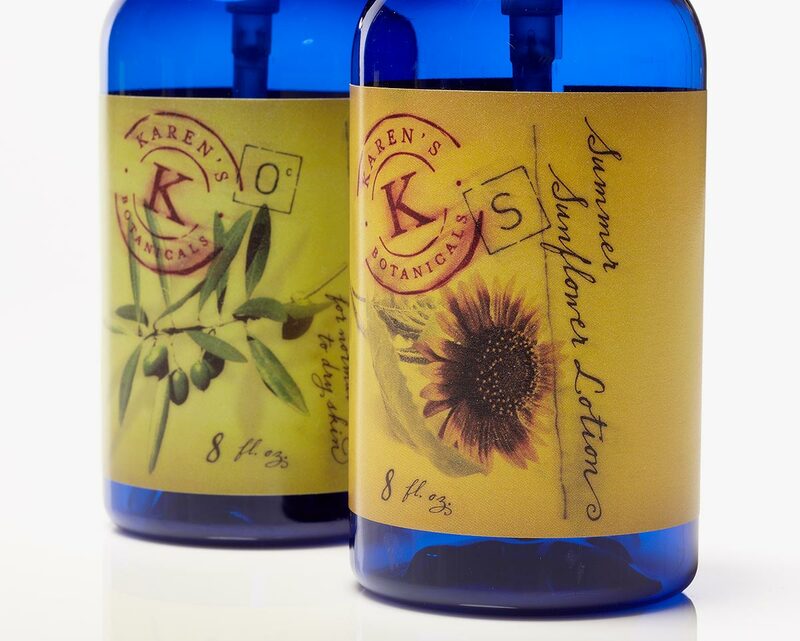 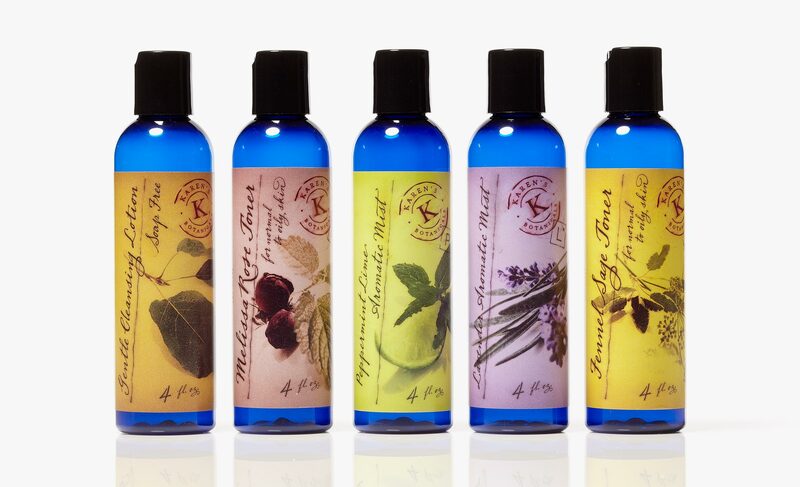 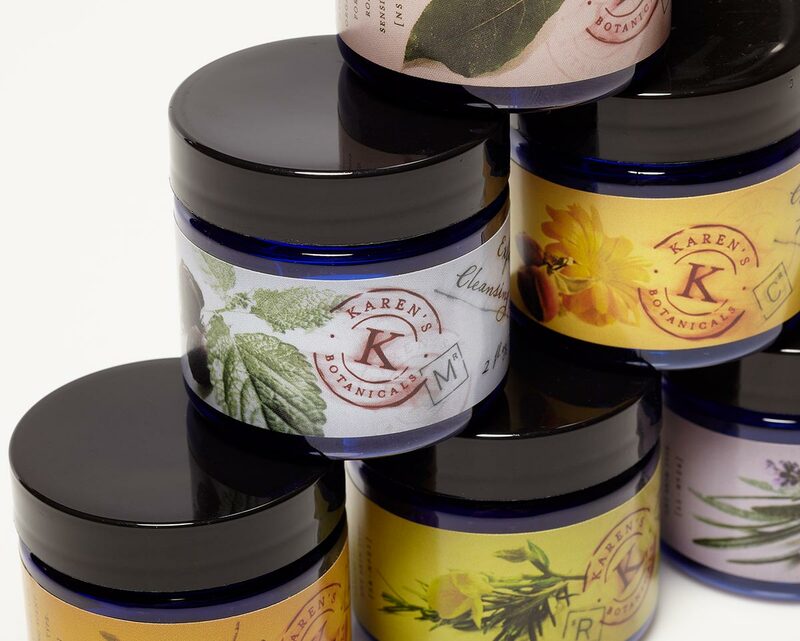 Karen’s Botanicals – Projekt, Inc.
Karen Palcho, the founder of Karen’s Botanicals, began by making her oils, toners, and creams with ingredients from her garden. 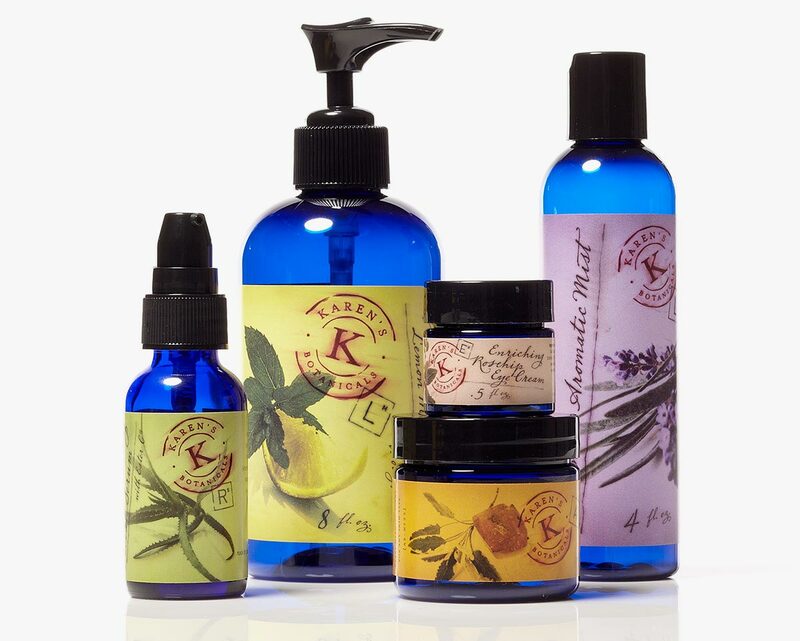 So we went straight after a natural, human, organic aesthetic to bring that spirit to life. 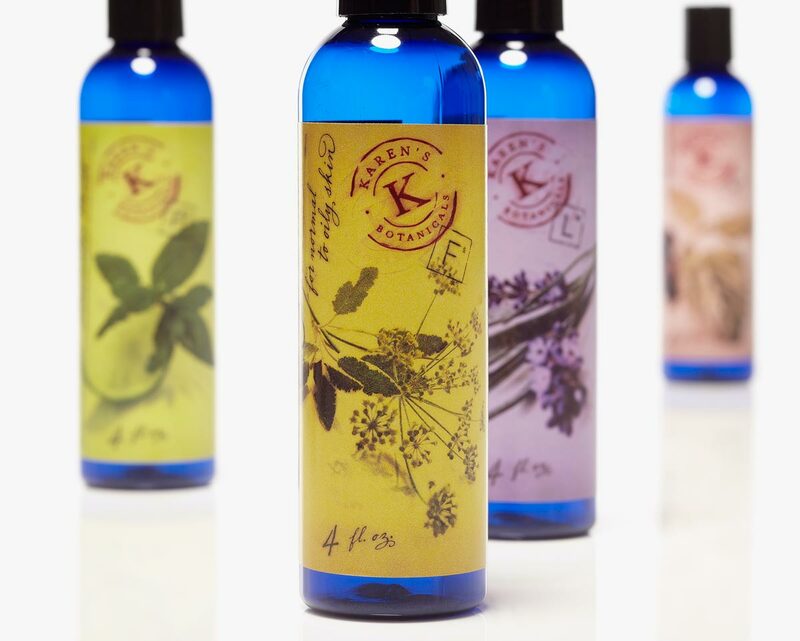 Everything on the labels is meant to look as uniquely crafted as the products themselves. 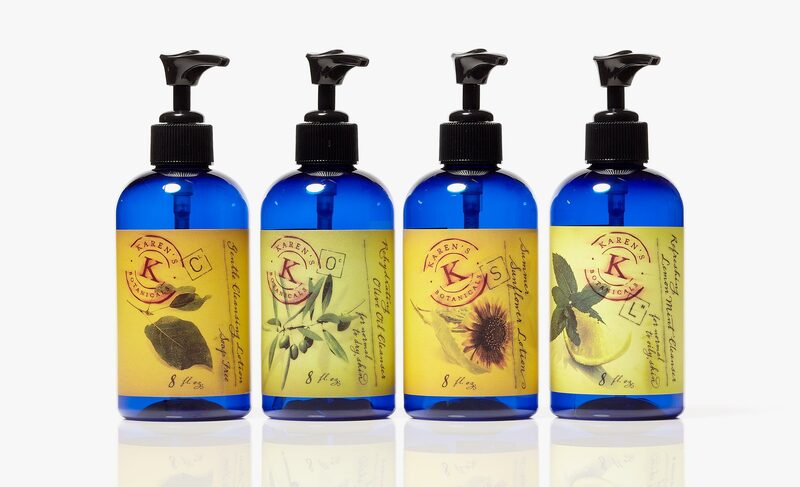 The handwritten type was blurred and smudged, the backgrounds were dirtied up to look unprocessed, and each “stamp” was offset and situated slightly differently than the others — all to make each bottle feel as human as the people behind them.